Vista Host Inc. | Support Staff - Vista Host Inc.
Kathie Long is responsible for the coordination of all accounting, budgeting, financial and administrative functions for the company. In addition, she is responsible for negotiating management contracts, refinancing, acquisition and sales of hotels. Her experience before joining Vista Host in 1989, included nine years in public accounting and three years in the hospitality industry as Controller/Treasurer for a publicly held company. Long is a member of the American Institute of Certified Public Accountants, and Texas Society of Certified Public Accountants. She is a graduate of Memphis State University with a B.B.A. in Accounting. Joe Viglietta joined Vista Host in 1999 as a General Manager. After quickly moving to an Area Manager position, he was promoted to Regional Director where he oversaw the company’s east coast hotels stretching from New Hampshire to South Florida. In 2010, he was promoted to direct the company’s sales and marketing efforts for all properties, in addition to his operations duties. In 2011, Viglietta earned the responsibility for the overall operations and sales and marketing efforts of all Vista Host hotels. During his career with Vista Host, he has created a number of new initiatives aimed at improving service and financial results for the company, as these initiatives include the Manager In Training (MIT) college recruiting program, the property level development of Service Coaches, writing and publishing the company’s Manual of Operating Standards, and a number of new reports aimed at driving sales and service levels. Based out of his home office in Indianapolis, Joe is usually on-site at one of the hotels he oversees. He is a graduate of the University of Notre Dame and holds a B.A. in Marketing. Jesse Phillips is responsible for many Vista Host hotels throughout the country, ranging all the way from Orlando, FL to Moab, UT. He has been working in the hospitality field since 1993 and started his career as a front desk agent at the Sheraton Baltimore North, MD. Vista Host recognized Phillips’ accomplishments in the hospitality industry and offered him his first position as General Manager in 2002 at the Hampton Inn, Springfield VA. Since then, he has shown continued success and has grown to the VP position he is in currently. Throughout his career, he has accumulated experience with many brands including Sheraton, Radisson, Embassy Suites, TownePlace Suites, Hampton Inn and Suites, Fairfield Inn and Suites, Homewood Suites and Home2 Suites. In addition to being an active member in the hospitality industry, Phillips has excelled as a Division 1 All-Star rugby player in college and received a B.S. degree in Criminology from Towson University. Based out of Jupiter, FL, he leads his team with the adage “take care of your employees and in turn they will take care of your guests”. As Regional Director of Operations for Vista Host, Michael brings his breadth of knowledge and experience, along with his energy and passion for collaboration, to each properties. His goal is to continuously have a positive impact on each property’s capacity to yield both top line and GOP for ownership, while maintaining Vista Host and brand related facility and service standards. Michael leads the training and development initiatives for the company’s management development program. Michael joined Vista Host in 2005 as the opening General Manager of the Hampton Inn and Suites Albany Downtown. He positioned this property as a community leader in both hospitality standards and civic responsibility. Vista Host boasts this Albany property has the only Women Only’ floor sustained (floor dedicated in 2008) and existing of any Franchise hotel in the United States. Michael serves as Chairperson (2010 and 2011, board member since 2006) of the Albany County Convention and Visitors Bureau, President (2010-2012) of the Board of the International Center of the Capital Region (affiliate member of NCIV and WACA), and is a board member of the Downtown Albany Business Improvement District (chair of Quality of Life Committee). He is also a member of the Corporate Council of the Northeast Chapter of the American Cancer Society. During his 25 year career in hospitality, he worked in development for 10 years, developing proposals and operating/financial models, for the purpose of (and often) bringing to fruition public/private hospitality related joint ventures. Team building and individual team member development has been the core of his success, in each of Michael’s professional and civic endeavors. Nicole Word serves as the Vice President of Operations overseeing eleven of our beautiful hotels in the Texas, Tennessee and Oklahoma regions. Ms. Word joined Vista Host in 2006 as a General Manager and has been working with Hilton Hotels since 2001. She entered the hotel business in the small town of Danville, IL in 1994 and realized shortly thereafter her love for the business. Through her hard work and dedication, she has progressed in her career from a front line associate to managing hotels in Illinois, Indiana, and also in Florida. During her tenure as a hotel General Manager, Ms. Word received several Hilton awards such as the “Wall of Fame” award and the “Circle of Excellence” award. Ms. Word currently resides in Austin, TX and enjoys continuing to work with the properties that Vista Host manages. Tatum Kane is responsible for Sales and Marketing across Vista Host’s entire portfolio of hotels. She began her career in advertising and public relations, but her passion for people made the hospitality industry a natural fit. During her 12 years with Marriott International, Ms. Kane was the recipient of many prestigious awards including North American Lodging Sales Leader of the Year, Western Region Sales Leader of the Year and two-time Golden Circle performance award winner for achieving in the top 6% of the company’s sales efforts. She spent five years leading the sales efforts for a mid-size management company where her expertise was identifying opportunities and delivering results in challenging markets. Ms. Kane holds dual Bachelor’s degrees from Duquesne University in Pittsburgh, PA and is a Level 3 Certified Sales Trainer. She currently resides in Dallas, Texas with her family and five dogs. As Vice President of Project Management, Bob Northup supports new hotel openings and the renovation of existing hotels, along with special projects. Mr. Northup joined Vista Host in 1992 as a General Manager of the Hampton Inn in Minnetonka, MN. Over the past 20 years Bob’s impact on our development along with our company wide initiatives has helped us achieve the success we experience today. His passion is to provide our hotels with support and direction while upholding the brand standards along with implementing the Vista Host Cornerstones and Points of Difference. Bob is based in Nashville, TN and travels to all hotels in our portfolio. Marc Zalaznick joined Vista Host in 1994 as a Guest Service Manager of an Independent hotel located in Claremont, CA. He also served as Assistant General Manager for Holiday Inn hotels located in Maryland and New Jersey. 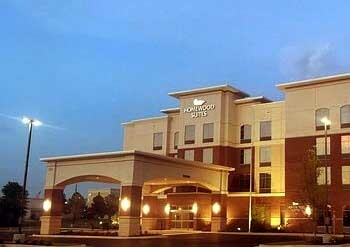 Marc was promoted to General Manager of the Hampton Inn BWI in 1996. In 2001, Marc assumed the position of Director of Revenue Management. Currently, Marc has oversight for all aspects of Revenue Management for Vista Host hotels and is fully trained and well versed in the operation of all Franchise Reservations and Revenue Maximization programs. Marc graduated from Brockport State University with a BPS in Therapeutic Recreation and a minor in Psychology and attended hospitality classes at Mesa Community College AZ. Roland joined Vista Host in 1991 as Computer Services Manager with experience in software development. As MIS Director, Roland manages the efforts of the MIS department for Vista Host. The MIS department is responsible for the corporate reporting systems, communication systems and network administration of the Houston support office. Roland also oversees the general support of computer hardware and software in the back office areas of the Vista Host hotels. Cindy Matulich is responsible for the day-to day operations of the Support Office as well as the management of property and employee insurance programs and internal and external audits, She also manages the accounting and administration of properties in development as well as acquisitions and dispositions. When Matulich joined Vista Host in 2008, she brought 30 years of hospitality and financial management experience with luxury hotels, resorts and private clubs, exclusive residential communities and conference centers. Her experience ranges from property accounting to new project development including technology infrastructure design and implementation. She is a member of the Hospitality Financial and Technology Professionals and is a graduate of Texas Tech University with a BBA in Management and an MBA.